Our premiere online training program, Effective Meeting Management, is designed to strengthen your corporate culture, improve employee productivity and increase engagement. It will help to expand your organization’s leadership capacity and build a strong pipeline for the future, encouraging collaboration and accountability. By linking organizational strategic goals and mission to meeting objectives, employees will have a greater understanding of effective decision-making processes based upon achieving strategic results. Our Boutique Corporate E-learning program is organized into three half-hour online digital sessions: Pre-Meeting Planning, The Effective Meeting and Post-Meeting Wrap, and has a mix of both short videos and text to keep all types of learners engaged. The program uses the PLAN model that lays out easy steps for running and participating in effective meetings. A series of scenarios and quizzes to test knowledge retention holds participants accountable throughout the program. At the end of the course, your organization will receive a detailed reporting identifying where your challenges were and how they have improved since the completion of the program. The results are impressive in their ability to create Human Resource strategies that drive long-term growth and help your teams think and work in new, productive ways. We can provide this training to your organization through either our LMS platform or yours. Want to learn more? View our EduLeader overview and infographic. 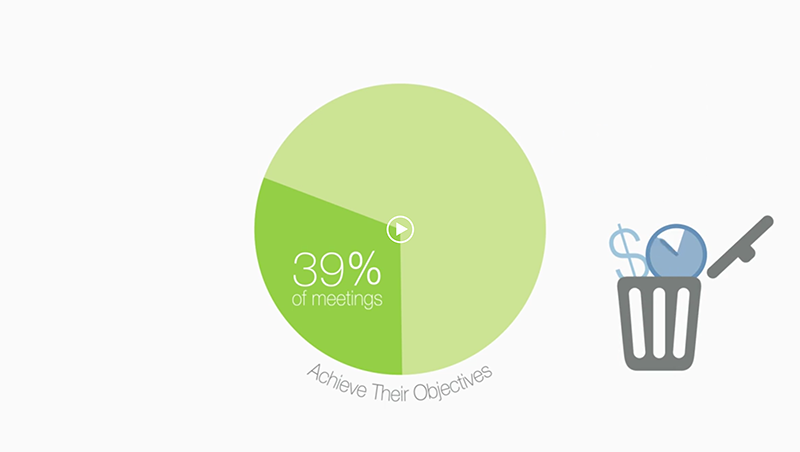 How effective are your meetings? Could you be managing your time better? Find out if you could be better managing your meetings by taking our Meeting Management Audit Quiz Online. If you’re interested in enrolling in our Effective Meeting Management E-learning Program, please contact us or email info@eduleader.com. Within the coming year, we will be focused on designing two more programs to meet your needs. The first is The Six Fundamentals of Success, which provides the foundational leadership concepts that any CEO would want each and every employee to learn, and the second is Cut to the Chase, a program that teaches employees to think clearly, act effectively and communicate directly. Winning teams embrace and harness the changes necessary to compete in the dynamically evolving marketplace. They are the ones who will develop the appropriate strategies, capabilities and cultures that enable them to achieve their goals for now and in the future. Building a culture of strong individual and team performance is key. Let us come along on that journey with you! Please call us to discuss our Effective Meeting Management Online Program or to design a custom program that best fits your needs.